Unit　3　I’m more outgoing than my sister. 八年级 英语 复习与练习 形容词副词的比较级 ▲主语+谓语+比较级+than +比较对象（than是标志） 1. Lily is more outgoing (outgoing) than Lucy. 2. Mr.Green is more serious (serious) than Mrs. Black. 3. Take exercise one hour a day, and you’ll become healthier (healthy) than before. 4. The weather today is worse (bad) than it was yesterday. 5. Joe is less outgoing (outgoing) than his brother，so he has fewer friends. 6. I think Linda dances better (well) than Kate. 7. Eric looks a little fatter (fat) than his brother. 8. It is colder (cold) today than it was yesterday. 9. He is better (good) at English than me. ▲根据上下文判断（much, less, even, a little 是标志） 1. When autumn comes, the days get longer and the nights get shorter . 2. This shirt is too big. Please show me a smaller one. 3. If you want to make more friends, you should be more friendly (friendly). 4. Please speak a little louder (loud), and then I can hear you more clearly. ▲用在选择疑问句中 1. What animals are heavier（heavy）, elephants or horses? 2. Who’s more hard-working (hard-working), Tina or Mike? 3. Who is more outgoing (outgoing)，Simon or his sister? 根据汉语完成句子 1. 汤姆比吉姆更有趣。 Tom is more interesting than Jim. 2. 你能更大点儿声说吗？我听不见。 Can you speak more loudly ？I can't hear you. 3. 我的文具盒比Mike的贵。 My pencil box is more expensive than Mike’s． 4. 为了保持健康，你应该吃更少的肉和更多的蔬菜。 To keep healthy，you should eat less meat and more vegetables. 5. 劳拉的好朋友比埃米更安静更聪明。 Laura's good friend is quieter and smarter than Amy. 根据汉语完成句子 6. 目前，大城市的房价比小城市的高。 At present, the price of houses in big cities is taller than that in small cities. 7. 他比我英语说的好。 He speaks English better than me. 8. 我认为友谊比金钱重要。 I think friendship is more important than money. 9. 我想凯特比我在学校里更受欢迎。 I think Kate is more popular than me in our school. 10. 我认为我比杰克高多了。 I think I’m much taller than Jack. ▲主语+谓语+as+原级+as+比较对象 1. Liu Ying sings as well (well) as Li He. 2. John plays football as well (good)as his brother Jack. 3. It seems that this problem is as difficult (difficult) as that one. 4. Is this story as interesting (interest) as that one？ 5. Mark is as hard?working (hard?working) as his brother. ▲主语+谓语+as+原级+as+比较对象(否定句中也可用not so … as) 1. 汤姆不如吉姆跑得快。 Tom doesn’t run as/so fast as Jim. 2. 我认为数学和英语一样重要。 I think math is as important as English. 3. 我的好友和我一样严肃，我们都爱学习。 My friend is as serious as me, we both like to study. 4. 我们的语文老师不像英语老师那样严肃。 Our Chinese teacher is not as/so serious as our English teacher. 5. 她和她的哥哥一样勤奋。 She is as hard as her brother. 动词时态 1. Han Lei won (win) the show I am a singer II. 2. You should know that your father cares (care) about you. 3. The boy felt sorry because he broke （break） his father's cup. 4. Both of us like (like) watching the movie Lost In Thailand. 5. The story was so funny that I almost laughed (laugh) out. 6. Jane reached (reach) for the telephone and picked it up. 9. 学生们正在安静地听老师讲课。 The students are listening to the teacher carefully ． 词的用法 ▲形容词，副词 1. He sings better (well) than other singers. 2. Can you speak a little more slowly (slow), I can’t hear you clearly (clear)? 3. I’m truly (true) sorry that things had to end like this. 4. I truly (true) want to know what you think of me. 5. I think this is a truly (true) beautiful picture. 6. Grace is three years old and she can speak clearly (清楚地)． 7. Be quiet (quietly)！I have something important to tell you. 8. Students can't speak loudly (loud) in the library. 9. Do you think it is a truly (真正) beautiful park? 10. She sat quietly (quiet) in the room just now. ▲hough (置于句末) 1. Math is a difficult subject.It's interesting，though (可是) ． 2. I told you to clean the room，you didn't clean it， though (可是)． ▲名词单复数 1. There are many kids ( kid) in the park. 2. The boy’s hands ( hand) are dirty. You should help him wash them. 3. David studies hard，so he always gets good grades (grade)． ▲ both ， both…and…两者都 1. 我和刘英都有黑色的头发。 Both Liu Ying and I have black hair. 2. 他们两个都很外向吗？(both) Are they both outgoing ? / Are both of them outgoing ? ▲介词后面的动词加ing He is good at playing (play) the drum. ▲介词like 妈妈说好朋友就像一面镜子。 My mother says a good friend is like a mirror . ▲ information （n.消息，信息）不可数名词 1. We have no information (信息) about where she has gone. 2. He found some useful information (信息) in these newspapers. ▲ with 短头发的女孩是我妹妹。 The girl with short hair is my sister. ▲for+一日三餐 他需要两个鸡蛋和一杯牛奶作为早餐。 He needs two eggs and a glass of milk for breakfast. ▲ look（看起来） 后面用形容词 My friend and I look similar (相像的). ▲ care I don't care (在意) what my friends think. ▲ hard-working The little boy is very smart but not hard-working (工作努力的)． 词形变化 ▲ say—saying talent—talented wonder--wonderful 1. “Practice makes perfect,” as the saying （say）goes. 2. There is an old saying (say)，“Time is money.” 3. I learned a saying ．It's “Tomorrow is another day.” 4. There is a saying that old habits die hard. 5. My father is a talented (talent) man. He can work out many problems. 6. Moly plays basketball better than her classmates. She's a talented (talent) player. 7. His daughter is talented (有才能的)．She can always finish hard work very well. 8. What a wonderful (极好的) movie！I want to see it again. 固定短语 ▲ make sb. do sth.让（使）某人做某事 1. 王磊很有趣，他总是让我哈哈大笑。 Wang Lei is so funny, he often makes me laugh . 2. His mother often makes him clean (clean) his room on weekends. ▲ care about 1. 父母都非常在意自己的孩子。 Parents all care about their kids. 2. 我们应该关心那些留守儿童。 We should care about the children without parents. 3. I really care about (关心) the students in this class. ▲ be talented in 1. 我的好朋友在音乐方面很有才干。 My good friend is talented in music. 2. Paul was talented (talent) in music when he was young. ▲ have fun，have fun doing sth 1. 我认为最重要的事情就是玩得愉快。 I think the most important thing is to have fun. 2. Yesterday I had fun singing (sing) in the party. ▲ look the same 在某些方面他们看起来一样。 In some ways, they look the same . ▲ find out 警察没用多长时间就查出了真相。 It didn’t take the police much time to find out the truth. ▲ share … with Mary had to share （共用）a bedroom with her sister. ▲ as long as 1. 只要你离他们原点，你就会安全。 As long as you can keep away from them, you’re safe. 2. 只要你喜欢，你可以把这些书都留下。 You can keep these books as long as you like. 3. 既然你已经来了，我们就开始吧。 As long as you come, let’s start. 4. As long as 只要) you are here，help them. ▲ get good grades at 我他在英语上总是取得好成绩。 He always gets good grades at English. ▲ bring out the best in My good friend can help bring out (显示)the best in me. ▲ in fact 1. 事实上，比赛我们输了。 In fact, we lost the game. 2. 实际上，我觉得这部电影很乏味。 In fact，I think the movie is boring. ▲ singing competition His sister didn't do well in the singing competition (比赛)． ▲ primary school Mrs. Clark teaches math in a primary school (小学)． ▲ get up early Tom 每天都起得很早。 Tom gets up early every day. 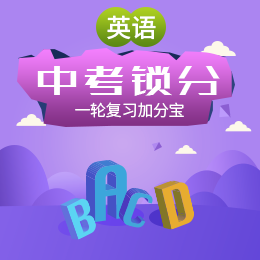 词语辨析 ▲ be good for对……有好处 be bad for 对……有害处 be good at+名词\代词\V ing:擅长，在某方面做得好 be good with sb:与某人相处很好 1. Jeff擅长英语。 Jeff is good at English . 2. 韩庚擅长跳舞和唱歌。 Han Geng is good at singing and singing. 3. 张老师和孩子们相处得很好，是我们学校最受欢迎的老师之一。 Miss Zhang is good at the kids, she is one of the most popular teachers on our school. 4. 做运动对我们的健康有好处。 Doing exercise is good for our health. ▲ be different from与…不同 be similar to与…相似 1. 他最喜欢的运动跟我的不一样。 His favorite sport is different from mine. 2. Jeff与他的父亲非常相像。 Jeff is similar to his father. 3. 我有一个和我不太一样的朋友。 I have a friend who is different from me. 4. Jane is different from (与……不同) her classmates. She is shy. 5. 双胞胎通常在外貌上彼此很相似。 Twins are usually similar to each other in appearance. 句型句子 ▲ It’s+ adj.+（for sb）+ to do sth. 对某人来说，做某事是……的。 1. 使用互联网对于张平是非常简单的。 It’s easy for Zhang Ping to use the Internet. 2. 对我们来说，每天锻炼身体是有必要的。 It's necessary for us to exercise every day. ▲说明句 I think the most important is to learn (learn) English well. 单词拼写 根据句意及汉语提示完成句子 1．Peter won (赢得) a computer in the game last week. 2．Exercise and sleep are necessary (必需的) for good health. 3．He found some useful information (信息) in these newspapers. 4．Please don't touch (触摸) the flowers. You can just look at them. 5．Doing sports helps make the heart (心脏) strong. 6.My friend and I look similar (相像的). 7. It’s necessary (必要的) for children to drink a cup of milk every day. 8．—I hear Mary keeps four dogs. —Yes，she loves animals. She has a kind heart (内心)． 9. Mr Wang is very serious（严肃的）． He is strict with us. 10．Did you break your left arm (胳膊) in the P.E. class? 11．They arrived (到达) Wuhan at around 4：00 yesterday afternoon. 12．In fact (事实上)，the girl is talented in music. 13．What a wonderful (极好的) movie！I want to see it again. 14．I told you to clean the room，you didn't clean it，though (可是)． 15．His sister didn't do well in the singing competition (比赛)． 16．The little boy is very smart but not hard-working (工作努力的)． 17．Grace is three years old and she can speak clearly (清楚地)． 18．I really care about (关心) the students in this class. 19．As long as (只要) you are here，help them. 20．Jane is deferent from (与……不同) her classmates. She is shy. 21．Mrs. Clark teaches math in a primary school (小学)． 单项选择 ( B ) 1. (广西贺州) Don’t talk _____. Your grandmother is sleeping now. A. loud B. loudly C. more loudly D. hard ( B ) 2. Although he is young, ______ he can so some things by himself. A. and B. / C. but D. so ( B ) 3. All of the boys ______ playing football. A. likes B. like C. is like D. are like ( B ) 4. This shirt is a little ________ than that one. A. big B. bigger C. biggest D. the biggest ( A ) 5. (上海) The volunteer spoke as ______ as she could to make the visitors understand her. A. clearly B. more clearly C. most clearly D. the most clearly ( C ) 6. Miss Wang is _______ than me. A. much quiet B. more quiet C. much quieter D. more quieter ( B ) 7. He has two daughters. They ______ doctors. A. both are B. are both C. are all D. all are ( B ) 8. —The coffee is good. —That’s right. It will taste ______ with some milk. A. good B. better C. best D. the best ( A ) 9. _____ do you like better, this one or that one? A. What B. Who C. Which D. / ( C ) 10. (四川宜宾)—Sam didn’t go to school yesterday, did he? —______. He was ill yesterday. A. Yes, he did. B. No, he did. C. No, he didn’t. D. Yes , he didn’t. ( C ) 11. (山东聊城) The baby is sleeping. Please speak______. A. loudly B. clearly C. quietly D. politely ( A ) 12. (四川绵阳) Linda has bought a large house ______ a swimming pool. A. with B. in C. on D. from ( C ) 13. Liu Ming’s hair is longer than _______. A. she B. her C. hers D. him ( C ) 14. The two girls _____ well. A. both can swim B. can swim both C. can both swim D. both can swimming ( B ) 15. —The cake is too expensive. Would you like to show me a _____ one? —Sure. Here you are. A. cheap B. cheaper C. dear D. more cheap ( C ) 16. (四川广安) —When will the plane ______ Shanghai? —Sorry, I don’t know. A. get B. arrive at C. reach D. reach to ( C ) 17. She is not good at _______ a bike. A. ride B. to ride C. riding D. rides ( C )18.After relaxing at home for days，I'm feeling ________ better now. A．a few B．very C．a lot D．a lot of ( C ) 19. Mr. Brown’s daughter likes to read the same books _____ he does. A. like B. with C. as D. of ( D ) 20. I’d like to make friends ______ the girl. She’s talented ______ music. A. to; at B. to; in C. with; at D. with; in ( C ) 21. (广西玉林) ______ he exercises every day, ______ he is very healthy. A. Because; so B. Because; though C. Because; / D. Though; / ( B ) 22. I bought _______ exercise books with _______ money. A. less; less B. more; less C. fewer; fewer D. more; fewer ( A ) 23. He is serious. No one can make him_______. A. laugh B. laughs C. to laugh D. laughing ( C ) 24. —What do you think of the singers?—No one sings _______. A. well B. good C. better D. best ( B )25.—That's Mike，isn't it?—________.Mike is much taller. (易错题) A．Yes，it is B．No，it isn't C．Yes，it does D．No，it doesn't ( B ) 26. (浙江丽水) —Can you tell the differences between these two pictures? —Differences? Oh, no. They look quite ______. A. different B. similar C. strange D. interesting ( B ) 27. Lisa is ________ outgoing girl and she is good at playing ________ guitar. A．the；the　B．an；a　C．an；the　D．the；an ( B )28.Dad，have a cup of tea to relax yourself. The important thing for you is ________ healthy. A．keep B．to keep C．seem D．to seem ( D )29.—Do you have any brothers，Bill？(易错题) —Yes，I have two brothers.________ of them live in London. A．Each B．None C．All D．Both ( D )30.—Why didn't you go to school yesterday? —Because I ________ my hand and I went to the doctor. A．washed B．shared C．reached D．broke 句型转换 1. I’m tall. My best friend is short. (合并为一句) I’m taller than my best friend. My best friend is shorter than me. 2. Tim has long hair. Jim has long hair, too. (合并为一句) Tim and Jim both have long hair. 3. I’m quieter than my sister. (改为同义句) My sister is more outgoing than me. 4. They both study very hard. （同义句转换） Both of them study very hard. 5. Tina is hard-working, so she always gets good grades. (改为同义句) Tina works hard , so she always gets good grades. 6. I was outgoing two years ago. I am more outgoing now. (合并为一句) I am more outgoing than I was two years ago. 7. This film is not as interesting as that one. (改为同义句) That film is less interesting than this one. 8. Mary is eleven. Kate is twelve. (合并为一句) Mary is one year older than Kate. 9. Jane has longer hair than Lucy. (改为一般疑问句) Does Jane have longer hair than Lucy? 10. Linda is from America. Ann is also from America. （同义句转换） Linda is from America. Same as Ann. 11. I’m shorter than he. (改为一般疑问句) Are you shorter than he? 12. You are similar to your parents. (改为同义句) You are the same as your parents. 13. My good friend is outgoing. (对划线部分提问) How is your good friend like ? 14. My friends are good at music and art. (改为否定句) My friends aren’t good at music or art. 15. I’m outgoing. My friend is quiet. (合并为一句) My friend is different from me 习作范文 My best friend's name is Lucy. She is 12 years old，and I am one year older than her. Lucy is shorter than me. She is 1.5 meters tall and I'm 1.55 meters tall. Lucy is quiet and calm. She is good at thinking of ideas. She is smarter than me，but I am more outgoing. I like to play sports and I'm good at them. We have something in common，for example，we both enjoy going to parties.